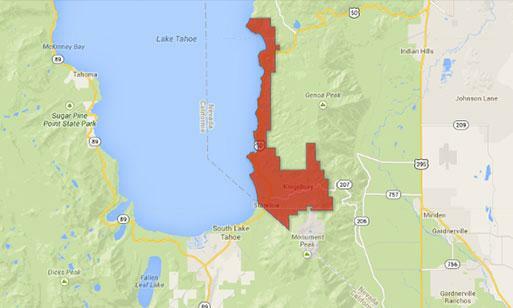 The information contained in this Website is provided as a public service to the citizens of the Tahoe Douglas Fire District and to the Internet community. Although the Fire District strives to provide accurate and up-to-date information, we cannot guarantee the accuracy of all website contents. Thus, the information should not be considered to be completely error-free or to include all relevant information; nor should it be used as an exclusive basis for decision-making. The user understands and accepts the risk of harm or loss to the user from use of this information. Thus, the use of the information is strictly voluntary and at the user's sole risk. Further, the contents of these home pages are subject to periodic change. Anyone desiring current information and data should contact the appropriate offices maintaining the information. Information placed on this Website is not intended to replace any official source. Although every attempt is made to ensure that the information is accurate and timely, the information is presented "as is" and without warranties, either express or implied, including warranties regarding the content of legislative information. Tahoe Douglas Fire District disclaims all express warranties included in any materials, and further disclaims all implied warranties, including warranties of merchantability, fitness for particular purposes, and non-infringement of proprietary rights. No information contained within this Website should be mistaken for legal advice, nor should anyone make legally binding decisions based solely on this information. There are other resources linked to and from these pages that are maintained by independent providers. Our offices cannot monitor all linked resources at all times. Therefore, certain statements, views and opinions that may be made by independent provider's materials are strictly those of the authors. These views may not necessarily represent the opinions or policies of the Tahoe Douglas Fire District, it's agents, or employees.